It sports the Razer look, and the upcoming Core graphics amplifier could give it the Razer chops, too. The Razer Blade Stealth is not a gaming laptop. I know, you’re checking over your shoulder for the Four Horsemen of the Apocalypse. But it’s true! 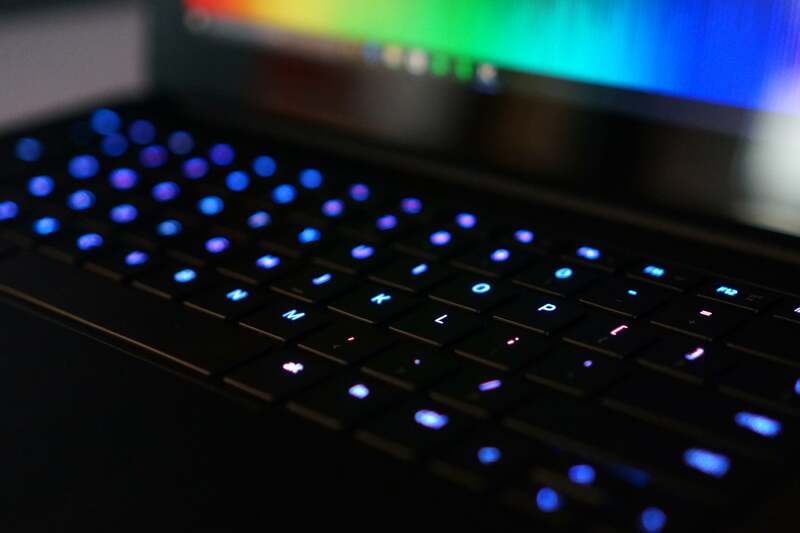 Despite sharing many design cues with Razer’s standard Blade and Blade Pro gaming laptops, the Blade Stealth is an ultrabook. Actually, when I say “many design cues,” I mean “all the design cues.” The Stealth may occupy Razer’s MacBook Air slot, but it eschews the tapered look of most laptops in that tier. Instead, the Blade Stealth features the same sleek, black MacBook Pro-esque design of its larger siblings—scaled down to hold a 12.5-inch screen instead of the standard Blade’s 14-incher. We reviewed the $1,399 model of the Blade Stealth, which features a 4K Ultra HD (3840x2160) IGZO touchscreen. It’s beautiful, albeit surrounded by an unsightly black bezel that seems especially conspicuous when placed next to Dell’s XPS 13. Razer has nixed a wedge-style design in favor of a MacBook Pro look. You can also buy the Blade Stealth with a 2560x1440 screen. Razer claims the 1440p version reproduces only 70 percent of the Adobe RGB spectrum, as opposed to the 4K model’s 100 percent, but unless you’re doing high-end color work you probably won’t care. At $999, it’s probably the better value—with the significant caveat that we haven’t tested it ourselves. The keyboard is perhaps the most significant downgrade from the standard Blade. 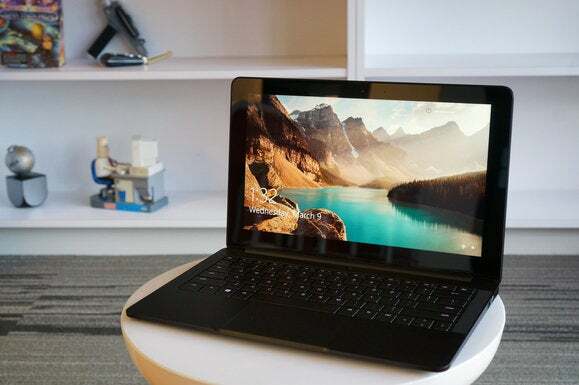 To fit into the ultrabook form factor, Razer’s significantly slashed the key travel. The resulting keyboard is extremely fast for typing, but with woefully stilted tactile feedback. It does look beautiful, though. Razer’s included its Chroma per-key RGB backlighting in the Blade Stealth, meaning you get access to the full suite of crazy (and not-so-crazy) effects found on the Razer BlackWidow Ultimate: Spectrum Cycling, Breathing, Reactive, and a handful of others. It’s not necessary in the least, and it does mean Razer’s sort-of bloated Synapse software runs at boot, but it turns heads. Also, the keyboard keys use a normal typeface for once—not the “VIDEO GAMES, RIGHT?” typeface currently found on the Blade, Blade Pro, and BlackWidow. More of this please, Razer. Each key on the Razer Blade Stealth is individually backlit. Razer did make one annoying oversight, though. The actual functions of its various function keys aren’t lit. F1 is Mute, F6 is Play, et cetera—but it’s impossible to tell in the dark, because Razer only backlit the “F1” part, while the “Mute” icon next to it is dark. Baffling. I also needed to tweak the trackpad out of the box. Default settings for both the pointer and scrolling sensitivity were too slow, though the fix takes an easy thirty seconds. I just cranked up the sensitivity by a few notches (which you can do through Synapse or Windows 10 itself), and the trackpad is smooth and precise enough to handle it. As for ports, the Blade Stealth sports HDMI and a USB 3.0 Type A port on the right side, plus another USB 3.0 Type A port, a 3.5mm audio jack, and—its main claim-to-fame—a Thunderbolt 3 USB-C port on the left side that handles charging in addition to data transfers. I’m not a fan of the Blade Stealth’s power cable though, which ends in a thin USB-C plug that sticks straight out from the machine when inserted. I’ve been unreasonably paranoid about snapping the cable in half with a careless motion, given that it doesn’t easily pop out of the slot when jostled. Welcome to the USB-C future, I guess. The main question about the Blade Stealth is how it stacks up against others in its price range. After all, Razer has a certain reputation (deserved or not) for padding the prices of its premium products, and this is its first foray into lower-cost hardware. With that in mind, the Blade Stealth is pretty damned great for an ultrabook. On paper, its specs beat out pretty much every competitor: It features a 2.5GHz Core i7-6500U processor, Intel’s HD 520 integrated graphics, 8GB of DDR3/1866 RAM, and a PCIe SSD anywhere from 128GB up to 512GB. Now, does that processor disparity matter? Not really. 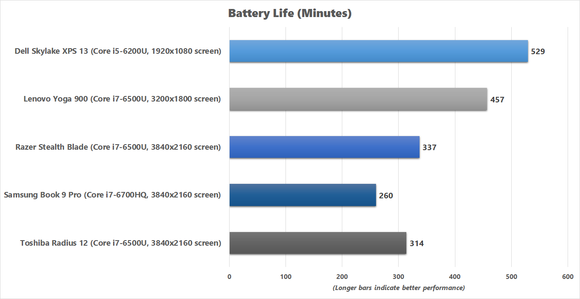 The difference between the i5-6200U and the i7-6500U is minimal for day-to-day use. In fact, when we tested the XPS 13 and Blade Stealth side by side, the XPS 13 won out on certain menial tasks. Dollar-for-dollar, the Blade Stealth’s specs are a better buy, but its benchmark performance varied. For example, the XPS 13 put out some particularly good numbers in PCMark 8 Work Conventional—its score was 2,887, while the Blade Stealth clocked in at 2,426. We were at a loss to explain this disparity at first, given that with better hardware, you’d expect the Blade Stealth to score higher. A closer look at PCMark’s graph showed the issue. For whatever reason, the Core i7-6500U inside the Blade Stealth continually hopped between its standard 2.5GHz clock and a lower 1.5GHz step, whereas the XPS 13 stayed at 2.3GHz for the entire test. At first, we thought Razer might be throttling the processor to keep the Blade Stealth cool on your lap. But if the company did choose to do that, the throttling is happening at fairly low temperatures—our graphs show the i7-6500U stepping down when it hits 50 degrees Celsius, which isn’t that high. It’s also possible that it's standard behavior for the i7-6500U to step down during low-intensity tasks. 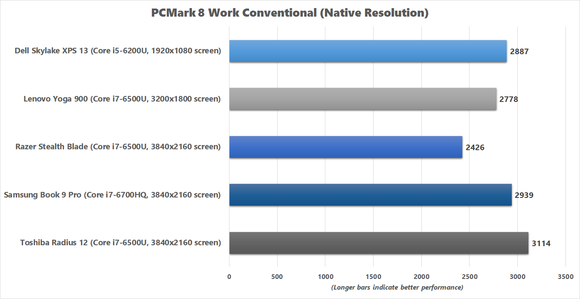 The Yoga 900 (which is also equipped with an i7-6500U) and Dell’s own XPS 13 Gold (which features a similar i7-6560U processor) posted lower benchmark scores than the Core i5 XPS 13 in the same PCMark 8 test. 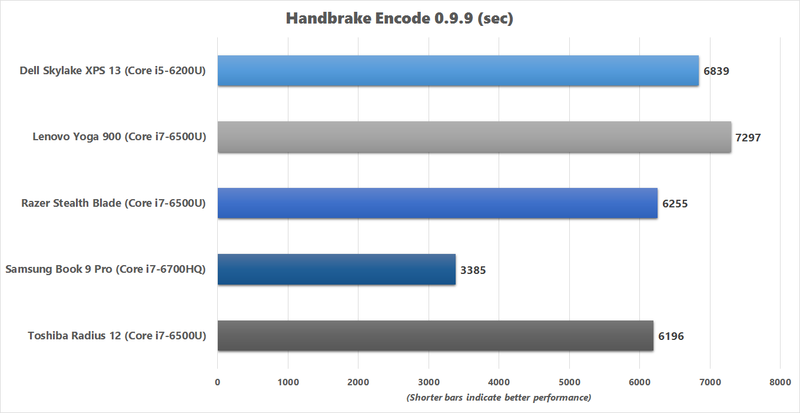 Our second hypothesis seems supported by the results of our processor-intensive Handbrake test, during which we have Handbrake encode a 30GB MKV file into an MP4 using the Android Tablet preset. The Blade Stealth finished its task in 6,255 seconds (about an hour and 44 minutes), while the XPS 13 took 6,839 seconds (about 10 minutes longer). Does it ultimately matter? Probably not. Ultrabooks aren’t known for being powerful workstations, and it’s doubtful that’s what you’re buying this machine for. What’s more important is that the Blade Stealth hangs right in the pack—certainly with machines at the same price, and in many cases with ultrabooks a few hundred dollars more expensive. That extends to gaming as well—the little you’ll be able to manage with an ultrabook, at least. 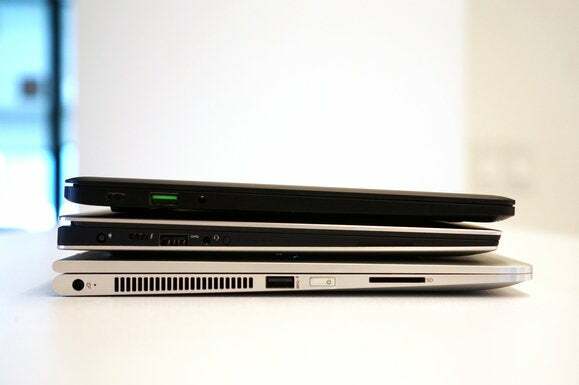 The Blade Stealth was consistent with other HD 520-equipped laptops, scoring 3,413, while the XPS 13 and Yoga 900 netted 3,444 and 3,121 respectively. The Blade Stealth’s only major downside (at least, for our review unit) was battery life. Our battery rundown clocked a mere 5 hours and 37 minutes of screen-on time—which, while expected for a 4K UHD panel, still means a lot less usable time away from an outlet. For contrast, the Surface Pro 4 and its 2736x1824 screen made it to 6 hours and 26 minutes, while the 1980x1020 XPS 13 hit 8 hours and 17 minutes. If battery life is a concern, the 1440p version of the Blade Stealth may be more your thing, as it should have similar performance to this 4K UHD model given its specs. The Blade Stealth is an excellent ultrabook, even if that’s all you ever plan to use it for. I’m not a fan of the USB-C charger method, at least in its current (read: flimsy) incarnation, but otherwise this is a feisty machine at an incredibly low price—especially given the fact it’s, you know, made by Razer. 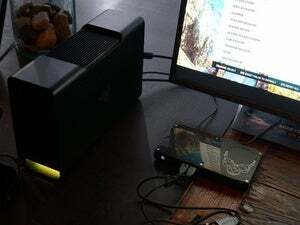 We’ll be sure to test the Blade Stealth again when Razer gets around to releasing its Thunderbolt 3 graphics amplifier, the Razer Core, but suffice it to say the Stealth is a smart buy regardless of whether you want it for semi-mobile gaming in the future. Razer's first foray into non-gaming hardware manages to outshine most of the established competition, and it's (surprise!) affordable too.